"We're gonna need a bigger budget." 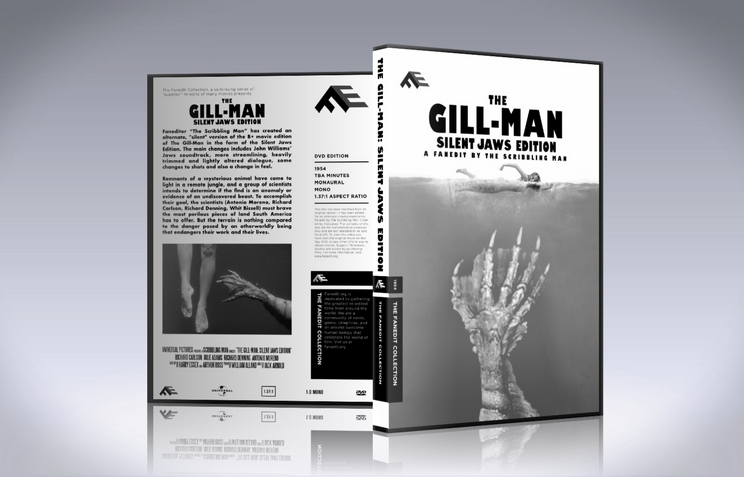 When I was doing my B+ edit of Creature From The Black Lagoon, I couldn’t help but notice both visual and musical similarities between it and Jaws. Parts of the film also had a generally Spielbergian flavour to them, so I thought that it would be an interesting and fun experiment to merge the two films into one entity. After watching TMBTM’s silent edit of Star Wars: Episode VII, I knew that the silent format was perfect for showcasing these similarities – thus “Silent Jaws” was born. My other intention was that I wanted to go beyond fan-fixing and do something a bit different – challenge my editing skills. It’s been a fun and challenging process, and I hope to do more fan-mixes in the future. Special thanks to ThrowgnCpr, Sinbad and DigModiFicaTion for their feedback during the in-the-works process, as well as to anyone who contributed to the discussion on the thread. Also special thanks to TheRyaney, DigModiFicaTion and jswert123456 for their combined efforts on the concept and design of the poster art. A shout out to TMBTM, who's Silent edit of Star Wars Episode VII heavily inspired me to take this direction with the edit. Finally, thanks to my brother for pointing out grammatical errors prior to me finalising the edit for release. From the start I used a lossless render of my B+ edit as the source, occasionally using bits from the theatrical cut whenever I needed extra footage. Old film effects during the prologue were done using BCC’s film damage filter. Inter-title font is "Lilith" (same font used for Fritz Lang's Metropolis). For a large chunk of the cuts, see the cut-list for my B+ edit of CFTBL. I used that as the basis and then made many more trims in order to make the visuals fit the pace of the music. - Inserted new “silent” inter-titles, using the same font as was used for Fritz Lang’s “Metropolis” (the font is Lilith). - Re-scored using Jaws music – occasionally I mashed up multiple bits of pieces from the score. - Sparingly used some MIDI percussion hits, cymbal swells etc. to help blend/emphasise certain moments better (such as gun shots and water splashes). Some of these samples were just taken from parts of the Jaws soundtrack. - At 3:34 there is a shot of the fossil photograph which fades directly into the fossil itself – in the theatrical/B+ cut, the scene transition is completely different and features a “fish tank” establishing shot. 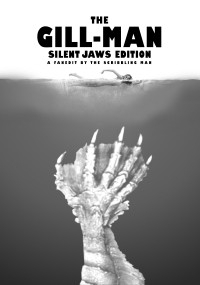 - Cut the entire dive sequence in which they take a photo of the creature and skip straight to them planning to drug the water. - At around 25 mins is one of the most significant narrative leaps (that I recall). Just after David dives, I used a shot of Mark which actually occurs prior to Davids dive in the theatrical. I did this to avoid the scene where Mark and Dave fight while changing, since I didn’t feel that it added anything to the edit and I didn’t feel that any music in the Jaws score suited the scene.